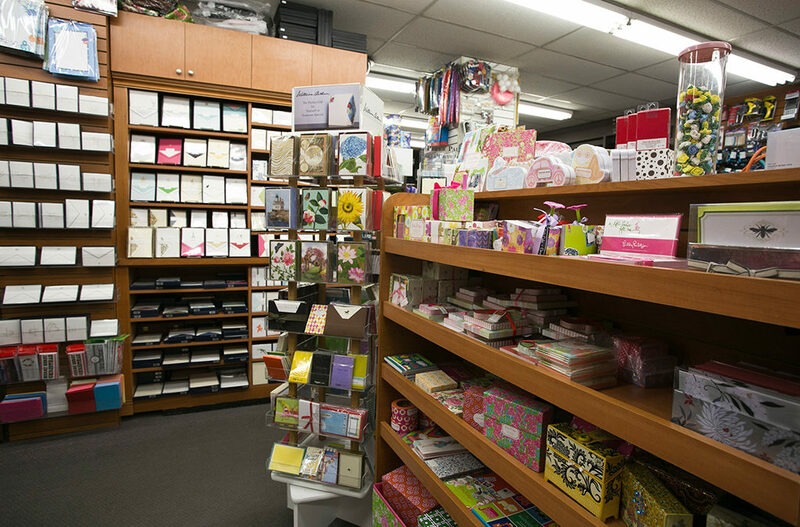 Stationery retailing is no longer about stores with dusty shelves filled with notebooks, a few writing instruments, glue, and staplers. The customer profile too has changed: It’s not just eager school kids or parents with tight budgets. The well-heeled executive is ready to spend anything up to Rs. 2,000 on an exclusive diary or a luxury pen. The Indian office products industry is estimated to bfe in the range of 10,000 crores with stationery comprising 3,000 – 4,000 crore and growing at 30 percent per annum. Both from a manufacturing and retail space perspective, the category is still unorganized but there are a handful of brands that have gone national. Future Group and Reliance Retail are some of the players who have sensed an opportunity in the office stationery supply industry in India and have launched niche brands such as Staple and Office Depot. Navneet was founded in the year 1959, by Gala Family at Mumbai and is India’s largest paper stationery brand. They are manufacturing Non-Paper Stationery like pencils, colors, erasers, rulers, sharpeners, compass boxes and other art materials. They sell their stationery products under the brand name of “Vikas”, “Navneet” and ‘FfUuNn’. Camlin”, was started in 1946 as Ink manufacturers and slowly they started producing other print and stationery products. Kokuyo Camlin is a joint venture between Kokuyo, Japan, and Camlin India. They are the leading manufacturer of art materials, fountain pens, marker pens, inks, colors, pencils, oil pastels and other stationery products. Classmate : Launched in 2003, with an array of student notebooks, Classmate currently is INDIA’S NO.1 NOTEBOOK BRAND and offering a comprehensive stationery portfolio with ball, gel & roller pens and wood-cased & mechanical pencils, geometry boxes and compass kits, erasers, sharpeners and rulers and art stationery products like wax crayons, plastic crayons, sketch pens and oil pastels. MANUFACTURERS: A.K. TRADERS is a manufacturing factory which produces office stationery and is situated in Roorki, India. Stationery supplies include Engineering Drawing Material like Angle protractor, Board pin, Cardboard, scale set, Pencil compass, Pro circle, Protractor Set and a square Sheet container regular Spring pencil. Architectural & Fashion Designing Instruments such as Arm hole curve, Grading scale, Jewelry template, Parallel bar, Parallel bar tee pulley, Stencil pen, Tee square folding for college, Triangular scale and a Rotring pen set of 8 . Art Material such as Bow pen, Color dish big, Color dish junior, Color palette wooden, Drawing brushes, Easel stand folding, Easel stand folding deluxe, Easel stand rigid and a Wooden easel stand . The Stationery products are a commonly used set of products in homes, offices, and schools. However, the attitude that most stationery consumers have towards stationery products is that of ignorance and there is rarely any desire on the part of the consumer to know what he is purchasing. There is also a lack of awareness about the variety of products available and the consumer settles for whatever the local stationery shop offers at whatever price the shopkeeper quotes. There is no consistency in the prices quoted and Mr. Gul Asrani, President of The Mumbai Stationery Manufacturers and Dealers Association opines that the reason for this is that the Packaging Act has no guidelines provided as to what should be the maximum retail price to be printed on the pack of the stationery products. Hence, the manufacturers print any amount desired by them and so there is no standardization of prices of the stationery products. In addition, there is no awareness amongst the consumers about the options available to a particular stationery product or of the correct utility of quite a few stationery products. This is because the stationery industry in India still is not completely organized. Thus, giving way for easy acceptance of foreign products amongst the stationery consumers. Because of this tendency of easy acceptance, the cheap Chinese imports have managed to creep into the Indian markets in a big way and this has affected the stationery industry to a substantial extent. According to Mr. Gul Asrani, desktop stationery has been the worst affected by Chinese imports. Among the desktop stationery, writing instruments seem to have been affected the most. Therefore, we can conclude that there are quite a few remedial measures that will have to be taken to tackle this situation beginning with a change in the attitude of the Indian stationery products’ manufacturers. And in order to deal with this situation in a competitive manner, there is a need for the Indian stationery manufacturers to provide the stationery consumers with quality at standardized prices and they will have to endeavor to give them a quality that is on par or better than the Chinese stationery products and that too at low prices. The use of computers and advanced telecommunication equipment is reducing the usage of writing instruments. As a consequence, while rising literacy levels and economic activity (with a high growth rate) should increase the demand phenomenally, the increase will be limited and will remain moderate but will not recede. Corporate activity has expanded in India by leaps and bounds. This has resulted in many international companies setting their footprints in India, with new offices and units coming up. Every office, in turn, requires a large supply of office stationery; business organizers, desk calendars, letter openers, pen holders, staplers etc. Sagar Tejura of Ayrton Agencies pvt. Ltd. Mumbai is exclusive importers and distributors for Maped, France, since 2003, says that they are distributors for Maped all over India and that the sales, since 2003, have grown very satisfactorily. The buyer today has become brand conscious and sensitive to the kind of products he buys. Exposure to the international brands and upgraded national brands of stationery has done a lot to enhance the buyer’s brand sensitivity. Retailers should keep in mind that a buyer is willing to pay more for a brand which offers quality and durability. A mother buying stationery for her child will always keep in mind that the child should have a desire to use the product and that it should be sturdy enough to weather out the rough use of a child’s hand. Staples, Inc. is an American multinational office supply retailing corporation, with over 1,500 stores in North America. Staples sells supplies which include staples, office machines, promotional products, technology, and business services both in stores and online. The company opened its first store in Brighton, Massachusetts on May 1, 1986. A 2012 study by the Wall Street Journal found that Staples displayed different prices to customers in different locations (distinct from shipping prices), based on proximity to competitors like OfficeMax and Office Depot. This generally resulted in higher prices for customers in more rural areas, who were on average less wealthy than customers seeing lower prices. Headquartered in Framingham, Massachusetts, Staples also does business extensively with enterprises in the United States and Canada, and as Staples Business Advantage. Office Depot, Inc. is an American office supply retailing company headquartered in Boca Raton, Florida, United States. The company has combined annual sales of approximately $14 billion and employs about 66,000 associates with businesses in 59 countries. The company operates 2,200 retail stores, e-commerce sites and a business-to-business sales organization. The company’s portfolio of brands includes Office Depot, OfficeMax, Grand & Toy, Viking Direct, Ativa, TUL, Foray, Realspace, and DiVOGA. The major players in India include Linc pen & plastics, GM Pens International, Flair pen, today’s writing products, Rotomac pens, Add pens India, Schefield, Stic pens, Cello, Luxor writing instruments, Montex and Lexi international. Gillette, the owner of parker pens, seems to have decided to make India its export hub, as the cost of production is the lowest in India compared to other countries. It is preparing to launch its premium range of pens ‘waterman’ in India. Gillette is selling its 50% holding in Luxor writing instruments to Newell Rubbermaid of the US as part of the latter’s global takeover of the stationery products group of Gillette Company. Newell Rubbermaid is also buying out Gillette’s equity shareholding in two smaller manufacturers—LP pens and Hi-Line pens. The most of supply business has consisted of pens and papers, and other stationery has been less. The market has been dominated by giants but caters to only a few of demands. Hence when it comes to acquiring a whole stationery supply, Corporates are at a loss. They have to deal with uneducated suppliers and the market in this niche is highly fragmented. OFD is trying to bridge that gap by integrating all office supplies and moving them with their own logistics. This has reduced the delivery time, increased efficiency and effectivity of operations. 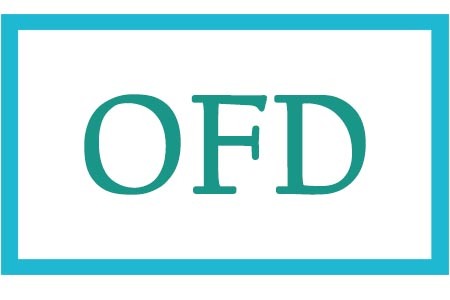 OFD is becoming a name in the industry due to their unique traits and client management. Except for 2-3 majors players namely ITC, NAVNEET, and SUNDARAM this sector is left totally to the unorganized sector. Most of the demand of the local market is being served by the local sector. There is a not a single player that can claim that he is the leader in the stationery sector. Some players have an advantageous position in the production of notebooks while some have an advantage in writing equipment. Hence, there is a lot of opportunity and place at the top. Companies willing to take risks and with the right strategies and business plans can become successful. The margins vary from 8% in some branded pens and pencils to 55% in the certain form of dairies, and registers. The India specific median margin, which is around 35%, is fundamental because of the largely consumed items, which are pens, writing books, hover around that margin. This is largely an unbranded category and hence there is immense scope for companies to create their own margins. The game is to develop products, create a certain amount of uniqueness in them and make the shop a destination. With Chinese manufacturing, there is a whole range of products which are not just plain functional but have lots of fun.